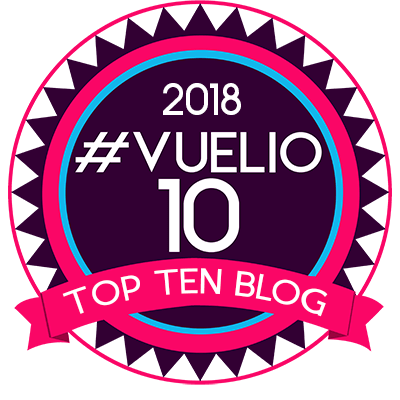 I’ve reached that point in the year when the number of posts I have time to write is overtaken by the number of subjects there is to write about. It happens every spring and causes me a rising sense of panic and frustration. There’s only one thing to do: take a deep breath and just get on with it. So, coming up in the next couple of weeks will be reviews of the RHS London Orchid Show, the Great Dixter Spring Plant Fair and a clutch of book reviews. First though, a happy story. As regular readers know, I am an inveterate plantaholic, often purchasing plants I have no place for, but have fallen in love with. In the plant passion stakes, I am just a tad promiscuous. 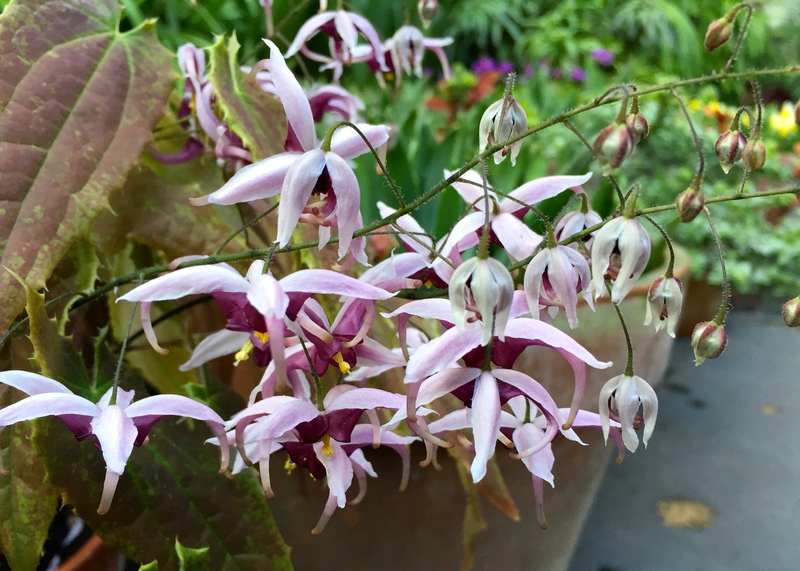 One such plant, acquired a year ago, is Epimedium zhushanense ‘Zhushan Fairy Wings’. Chinese epimediums appreciate summer moisture and cool shade to give of their best, so putting one in a small pot on a sunny terrace probably isn’t the best idea. However, that’s what I did, topped with subjecting my plant to a year of brick dust and infrequent watering. Spring has sprung and my mistreated plant has produced seven wiry stems bearing huge, spidery, bi-coloured flowers, each like a four-cornered jester’s hat. Every stem is poised elegantly above the emerging foliage, boldly mottled apple green and russet red, elongated and serrated at the edges. Grown correctly Epimedium zhushanense ‘Zhushan Fairy Wings’ makes a stunning groundcover plant for a shady spot, producing evergreen leaves and light, airy flowers in early spring. Grown incorrectly in a pot, I can also vouch for its exceptional charm and resilience. I can only assume the feelings of love are mutual. 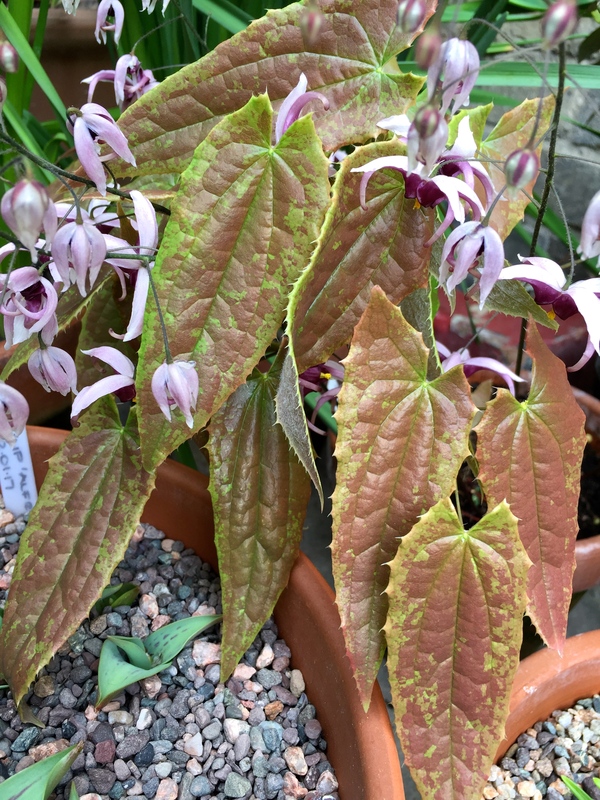 Epimedium zhushanense ‘Zhushan Fairy Wings’ is available from Decoy Nursery, East Sussex. Love it when plants do their own thing in spite of “expert” advice. What a lovely plant you’ve been blessed with. Thanks Patricia. I’ve had mixed results with epimediums, and lost a few. E. grandiflora is no trouble at all. ‘Spine Tingler’, that everyone was going crazy for at Great Dixter plant fair, lasted one season with me and never appeared again. Simply lovely! Some plants just want to do what they do, don’t they? Ideal conditions be hanged! Thank goodness. Yes, thank goodness. And proves it’s always worth giving a plant a try. Some of the plants that do best for me are those that aren’t given text book treatment. Now I know where I have been going wrong with Epimediums, I followed the instructions! Yours is really beautiful. I saw banks and banks of various types at Rosemoor this morning, all looking good. I will have to try again. Mr TT and I went to Caerhays on a very sunny Saturday at the end of March, it was glorious, just as you said. Magnolia sargentiana var. robusta near the house was just stunning, others looking good too numerous to mention, and a group of Osmanthus scented the air. What a wonderful place. Him Indoors works with David Williams, the younger brother of Charles, who inherited Caerhays and Burncoose. And my Cornish family are Williamses, albeit unrelated as far as I am aware. Hence we try to use Burncoose Nursery whenever we can. Glad you had a lovely time. A very special place. A very good recommendation, having seen some of the photos of some of the wonderful plants in your gardens. That’s one gorgeous epimedium. Coincidentally I just ordered a copy of The Plant Lover’s Guide to Epimediums from Amazon last week, looking forward to places where they can be used in the next garden. Had several in my former garden and was much impressed! I didn’t know they had published one on epimediums. Another for my wish list! Love your epimedium. Have fallen hard for them lately myself, despite having no space for them… The usual thing. And yes, mine do well in a pot, too – at least for the time being. Can highly recommend the Plant Lover’s Guide to Epimediums! Unless you want to avoid another addiction :-).